Home Carolynne Fashion & Beauty Smart Casual – To Jean or Not To Jean? This week we pose one of life’s great questions, as intellectually pressing as ‘How long has Donald Trump been wearing a dead squirrel on his head?’, and ‘Why were kitten heels ever invented? !’ We ask, what does ‘smart casual’ actually entail? Smart Casual. A perplexing oxymoron that seems to be an appropriate dress code for parties, lunch-do’s, even job interviews or work placements. Should this contradictory phrase illicit the same clothing response for different situations? What springs to mind when these dreaded two words are uttered? Tracksuit bottoms and a suit jacket, cargo pants and court shoes, brogues and a bath robe? If you’ve gained a much sought-after work placement or internship, ‘smart casj’ may well be the dress code. Unfortunately, many workplaces stress a great deal of importance on appearance, and not on the individual and their means of self-expression. Many people associate neat clothing with a positive working attitude, and consequently as a reflection of their sincerity towards the job. Obviously what is most important, however, is that you feel comfortable and positive in what you are wearing. If you feel happiest in a day-dress, perhaps team it with a blazer and lace-up or smart slip-on shoes. 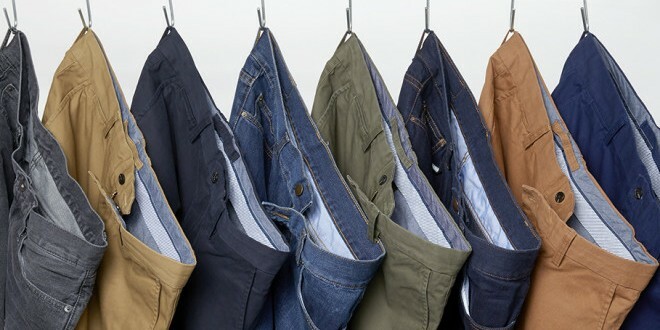 Jeans are an obvious go-to for comfy, practical clothing, but there is often uncertainty over how ‘appropriate’ they are for smart situations. Some employers may indeed wear jeans themselves, but it is perhaps best to save these for the second day, after seeing the way in which management interpret the dress code. Some employers, in fact, expect interns and new recruits to arrive over-smart on their first day, again forming some arbitrary correlation between the effort put into dressing smartly, and the effort one will put into a new job. Chinos and a shirt (no tie) or a pencil skirt and blouse or plain T-shirt are other safe amalgamations of casual and smart. While fulfilling employer’s standards of clothing may prove crucial to securing, or maintaining, a job, it is perhaps less imperative to do the same for lunches, dinners, or parties. If your friends have suggested a smart casual dress code, the chances are that they are doing so for your comfort and happiness, and not with any serious expectations of blazers and button-up shirts. If you feel happiest in a ballgown or tuxedo, then go ahead and wear them, or if you’re more of a Christmas jumper or crop top person, fill your proverbial boots! If your friends seriously have an issue with your outfit choices, then perhaps consider whether their opinions are more important than your comfort and enjoyment. Likewise with employers; if you want to work in an environment where jeans and a T shirt are welcomed, then perhaps you’re too chilled for an office job anyway.